With new ICO’s being launched everyday the industry is thriving but it is becoming harder and harder to identify high quality, sustainable and investor friendly projects. This has been compounded by the general bearish trend that has surrounded the space since the Decembers bull run where virtually every coin reached new all time highs (ATHs). The main reasons for this recent downward trend however have included: China confusion, hacks, Tether woes, Binance fud and more recently the dumping of roughly 35,000 Bitcoin and Bitcoin Cash onto the market by the Mt. Gox trustees which correlated perfectly with the drops we can see on the charts. With the market now showing signs of stabilization this is the perfect buy-in opportunity to invest in high quality projects at a fraction of their worth. So without further ado check out our top upcoming ICO’s and cryptocurrencies we think will provide a good return on investment throughout 2018. P.s Why listen to us? Because we have a proven track record in recommending high quality, very profitable projects. Take a look for yourself here and here. XY, the firm behind XYO Network have built and currently expanding one of the worlds largest decentralised location tracking protocols with GPS beacons and Bluetooth. The result? Tagging and monitoring the movement of physical objects (including humans) anywhere in the world. For example in the future governments and agencies could potentially use the technology to ensure everyone is registered and able to move around legally and freely through selected jurisdictions with no additional need for verification, passports etc. It can also help with realtime tracking of lost, missing, wanted people or objects. Another use case would be ecommerce. Given the amount of parcels that go missing with no resolution/ accountability companies can use the tracking to manage their shipping and supply chain needs resulting in full transparency and accountability. For example an ecommerce store only takes payment once an item has been received by the customer. XYO Network powers the service through its mining kits and enables anyone with a location tracking device such as Bluetooth, GPS, LPWAN (LoRA), Low Earth Orbit LEO Satellites to contribute. As referred to in the Whitepaper these Sentinels, Bridges, Archivists and Diviners are also rewarded with XYO Tokens based on their interactivity/ helpfulness. XYO Network will be running a token sale this March. Whitelist restrictions apply and you can take part by visiting their website. Data ownership has become a hot topic these last couple of years with many unaware that corporations, governments and other 3rd party entities are profiting from what many consider to be their personal data. According to research studies in 2017 digitally generated data amassed roughly $1 trillion dollars in revenue last year, none of which is seen by the individual whom it concerns. Blockchain startup Essentia wants to change this by developing a way for everyone to decide and control who has access to their data, what it can be used for and receiving a fee for its use. Essentia Network – This is the decentralised network that manages the Essences in a clean, interoperable and secure manner. Third parties and dApps can easily access user data as pluggable oracles based on what information users wish to release. Developers can also build on top of the Essentia framework to create data management tools, identity solutions, data exchanges, decentralized CRMs etc. For example using Essentia’s eLogin users can authenticate and login to compatible websites without the need for any password. This move away from insecure and sometimes cumbersome passwords means more security, privacy and a cleaner interface to manage identity and authentication across every service that the user wishes to use. Yann Marston with 20 years experience in business, he is responsible for strategic sales at Motorola Solutions. Esentia is running an initial coin offering to raise funds enabling investors to purchase ESS tokens which will power the technology. The price is set at 1 ETH = 15000 ESS and they aim to raise $31,900,000. HOQU aspires to be the world’s first decentralised marketing platform enabling affiliates and merchants to work together directly without the need for a middleman. This ensures both parties are treated fairly with all actions completed through transparent smart contracts. The global advertising industry is estimated to be worth some $200 billion dollars per year with the USA, China and United Kingdom dominating the market. HOQU hopes that a large proportion of these transaction will be running on their blockchain in the near future. It’s no secret that this industry is centralised with the affiliate networks controlling a large number of merchants and affiliates. In doing so they are able to set high fees and low commissions, all the while enforcing unjustified and overpriced account maintenance charges. Startups are also often priced out of joining the networks with insanely high barriers placed in their way. HOQU removes these barriers with smart contract technology and fair fees for all. This technology creates a win win scenario for both merchants and affiliates by reducing fraud, ensuring fair payouts and lower all round costs. All whilst streamlining the whole process. HOQU’s Initial coin offering raised $18.7 million and at the time of writing HOQU (HQX) was trading at $0.083164 on IDEX and ForkDelta. Gems is a decentralised mechanical turk powered by blockchain technology. It builds on the shortcomings of traditional Mechanical Turks such as Amazons MTurk and Crowd Flower. A traditional MTurk is a crowdsourcing Internet marketplace which enables individuals and businesses (also known as requesters) to hire others to perform microtasks that computers are currently unable to do. However current providers are very inefficient, implement costly verification techniques (consensus by redundancy), charge exorbitant fees and are unavailable to a large portion of the workforce who don’t have access to bank accounts. By using blockchain technology Gems is able to eradicate all these issues. Gems is currently being advised by a range of industry heavyweights that include Medium and Twitter co-founder Biz Stone, Augur co-founder Joey Krug, reCAPTCHA co-founder Ben Maurer, Aragon co-founder Luis Cuende and co-founder of NEO Global Capital Roger Lim. At the time of writing Gems is trading at $0.018616 on Gate.io and IDEX for both USDT and ETH pairs. Peer-to-peer file sharing is a phrase most of us are familiar with. It was once one of the most popular ways to share files across the internet and through the use of torrents still is even today. It is however starting to show its age and limitations. One of the biggest being a massive disparity between file downloads and availability ratio. This is due to the lack of seeders who have no incentive to share content other than as a hobby or possible notoriety. Upfiring tackles the root cause of this problem by offering seeders compensation (payment in UFR) for their contributions. By adding incentivisation in to the mix seeders rise to a higher calibre and become more abundant, resulting in faster access and downloads for users. A downloader requests access to the seeded file but can only download once they have paid using the currency of the network which is UFR tokens. Once downloaded and paid for in full the file can be decrypted. UFR is currently trading on various exchanges including Cryptopia, Stocks.Exchange, IDEX and ForkDelta at roughly $0.30 and has been tipped by many as a coin that should at least rech $5 by Q4 of 2018 due to the attractive market cap. It would be almost criminal to end the article without mentioning Cardano. This is by far one of the most exciting (albeit adventurous) projects that we will be following over the course of 2018/2019. Founded by Charles Hoskinson, a former co-founder of Ethereum and Jeremy Wood, operations manager at Ethereum, the project takes all the best bits from previous generation blockchains and rolls them in to a peer-reviewed, institutionally backed decentralised public blockchain and cryptocurrency. In essence Cardano wants to be Ethereum but usable day-to-day e.g far more scalable, sustainable, and interoperable. Born out of scientific philosophy with experts contributing from all over the world not only helps Cardano develop a solid, research-backed foundation but will also simplify government and legal approval when that time comes. Their detailed roadmap can be found on the website with upcoming events such as Ledger support and the opening of a new research and development center that focuses on the Cardano blockchain Ho Chi Minh city. Cardano (ADA) is currently trading at $0.22. p.s Last year with tipped HelloGold, Cindicator, VeChain, TRON, Request Network and Utrust. All of which not only increased in price but reached significant roadmap goals, formed partnerships and are starting to make real change across many industries with their Blockchain technology. Brazilian Development Bank BNDES has signed a memorandum of understanding with German development bank KfW with the aim to improve transparency and efficiency in the use of public resources that finance the development of the Amazon Fund, this will now be powered by Blockchain technology. 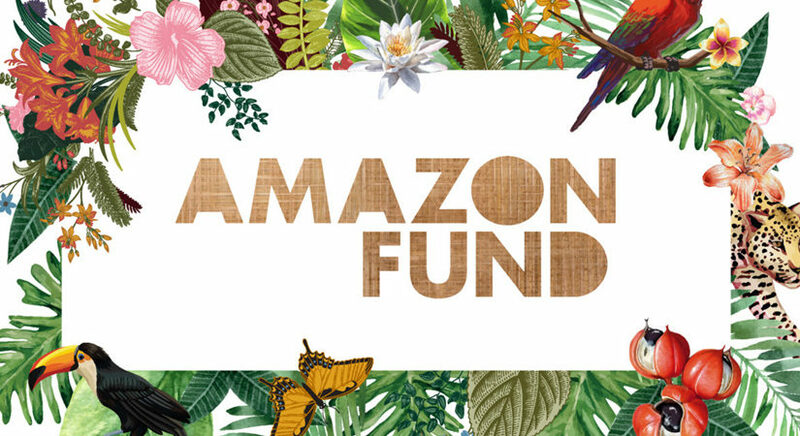 BNDES was assigned the management of the Amazon Fund, which is responsible for raising funds and allocating resources; monitoring and supervising actions and supported projects; accountability; and reporting results obtained in a continuous and transparent manner; in addition to exercising the role of Amazon Fund Guidance Committee executive secretariat. With eight years of existence, the Amazon Fund finished 2016 with a portfolio of 86 supported projects, totalling R$ 1.4 billion (US$ 617 million), of which 47% have already been disbursed. It has received donations from Norway, Germany and Petrobras totalling R$ 2.8 billion (US$ 1.13 billion). Blockchain technology is set to be the object of cooperation between BNDES and KfW. The National Bank for Economic and Social Development (BNDES) has been exchanging experiences with companies, research centres and financial institutions that are dedicated to blockchain technology development. In this context, the BNDES board approved a memorandum of understanding with KfW, the German development bank, to promote cooperation between the two institutions in enhancing TruBudget software. The tool was developed by KfW to improve transparency and efficiency in the use of public resources that finance development. 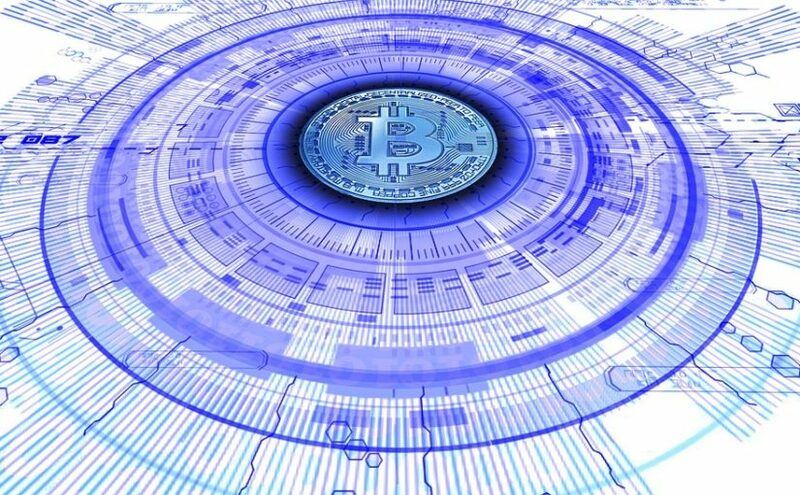 Although based on bitcoin-like technology, TruBudget does not involve the use of a virtual currency: it is a workflow tool that uses a private, not public, blockchain such as bitcoin. Until May, BNDES will do a pilot test of the application in the Amazon Fund. The Fund, which is managed by BNDES, includes the German bank as one of the donors and carries out non-repayable financial operations, which are the focus of the memorandum. Under the agreement, KfW will provide BNDES with access to the software repository and manage all other platforms and related tools necessary to collaborate and work on improving TruBudget. The German bank will also offer technical support for the application of the tool. During the tests, BNDES will regularly share information about the use of TruBudget among participants. The Bank will not use it for commercial purposes or claim intellectual property for the software or a modified version of it. During the joint execution of the project, KfW intends to formalize the TruBudget license in the open source modality. In the last few months our editorial team have been flooded with pitches from a variety of token based startups. We’ve read white papers on everything from blatant scams through to fairytale ideas and everything in between. As an investor it can be hard to cut through all this clutter and find the next big token, especially one that will make a good return on your investment. This is getting considerably harder with scammers becoming more creative when their marketing techniques and ideas. That said every so often we do come across innovative blockchain projects that genuinely fix a problem and are set to revolutionise their respective industry. Our team have researched six promising ERC20 tokens backed startups we think will make great investments. HelloGold is not a Blockchain firm you might be familiar with, despite the company raising just over 17,000 Ether in a token sale earlier this year. The project aims to simplify the purchase and management of Gold through a smartphone app for low to medium income customers based in poorer parts of the world. Built on the Ethereum blockchain the project helps do what traditional gold investing cannot – it provides greater transparency and security for gold owners and verifies the amount of gold being held by each person whilst cross-checking with daily gold list custodians who physically store the gold in a fully insured vault in Singapore. Why is this important? It means every gram of gold only has one owner and is completely traceable. HelloGold have already delivered on many fronts. Their app is already available to download on Google Play and gold purchase trails are already unddrway in Malaysia. They have also recently partnered with blockchain startup Aeon credit who have agreed to provide financing to customers at competitive rates. It’s the first certified Shariah compliant online gold platform in the world, during the token sale they attracted investment from heavyweight venture-capital firm Fenbushi Capital with Bo Shen from the firm also joining the advisory board. As for the team it includes CEO Robin Lee who is the former CFO of the World Gold Council with a strong background in financial roles. Roger Ward also has vast experience working in the gold industry, having most recently worked at the World Gold Council developing strategy and managing complex projects in London. Other team members have come from roles at the Royal Bank Scotland Group, Wolff Olins PLC, AEON Group and Wykeen Seet was the VP at Bangkok Bank in Thailand. At the time of writing one HelloGold (HGT) costs $0.008512, making it a bargain. It is currently trading on EtherDelta, HitBTC and Coss. Cindicator is a decentralised analytics platform powered by ‘hybrid’ intelligence. The project raised a cool 55,569 Ether in the token sale earlier this year with over 4,000 participants. Cindicator uses the wisdom of the crowd to determine answers to market changes. By aggregating opinions from a wide range of forecasters in different countries with different professional backgrounds, personal experience etc the platform can accurately quantify and provide accurate predictions when hedging trades. The team behind Cindicator is what makes it a very promising token to watch. Names include Charlie Shrem COO at Jaxx, who is also a founder of the Bitcoin Foundation, Anthony Diiorio Founder at Jaxx and Ethereum, Marcus Killick Chairman of the Gibraltar Stock Exchange, Evan Cheng Director of Engineering at Facebook, Anton Govor head of strategy at Moscow Exchange, CFO and co-founder of changelly Konstantin Gladych. The current price of one CND token is a steal at $0.016822. Trading is taking place on both HitBTC and Mercatox. Established two years ago in Singapore VeChain is a product management platform built on the Ethereum Blockchain. They aim to revolutionise how products are processed through the supply chain by simplifying how manufacturers manage, collect and share data with vendors and consumers. VeChain is already making waves by securing some very promising partnerships. Recently they were accepted into an incubation program launched by accounting giant PricewaterhouseCoopers (PwC). They have also partnered with the world’s largest freight company, Kuehne & Nagel. The firm has a yearly revenue of around $21 billion. VeChain will help smartify parcels with chips linked to data held on the Blockchain to make tracking, managing and global collaboration more efficient. VEN token is currently trading on Binance, Liqui, HitBtc, Coss, OpenLedger DEX, Kucoin and EtherDelta at $0.25 per token. Beijing-based blockchain startup TRON is a protocol for the global digital entertainment industry. It provides developers with the infrastructure for app development and smart networks which in layman’s terms means TRON is developing a worldwide free content entertainment system built on the blockchain which will enable users to publish, store and own media in a decentralised manner. Tron’s founder Justin Sun is no stranger to the entertainment industry and was named in Forbe’s China 2015, 30 under 30. He was also a former Chief Representative at Ripple and has since turned Peiwo, a streaming app into the leading live-streaming app in China. He will also bring the apps 10 million active userbase into the TRON ecosystem giving the project a solid user base from the get go. Other members of the team include Jihan WU, CEO of Bitmain, Shuoji Zhou, partner of FBG Capital, Chaoyong Wang and founder of ChinaEquity Group. The price of one TRX is currently $0.001956 and can be purchased on Binance, Liqui, Gatecoin, Mercatox, HitBtc and EtherDelta. Fin-tech firm Request Network has made waves in the last couple of months when it raised a cool $33,600,000 in their initial coin offering. Unlike many Blockchain firms they were actually founded in 2015 and started receiving support very early on from ING bank. Request Network aims to become a decentralised network for payment requests allowing businesses or anyone for that matter to request monies from just about anywhere. It is looking to position itself as a payment provider like paypal, stripe etc with one of its main uses being invoice management on a distributed ledger. Notably Request Network was the first ICO to be incubated by the well known American-based seed accelerator YCombinator. Not only is Request Network utilising the Ethereum Blockchain but also other technologies including Civic, Aragon and 0x. The team behind Request Network also have great experience in the finance industry having founded money transfer service Moneytis. Gilles Fedak co-founder of iEx.ec also sites on the advisory board. As blockchain starts being implemented into mainstream services it is crucial that tools and services are available to simplify and automate migration from traditional billing and invoicing systems through to blockchain based approaches. We Request.Network will be that bridge. Request Network is trading at $0.054420 per REQ token on Binance, Kucoin, Liqui, Gate.io, EtherDelta, Mercatox and IDEX. Similar to Request.Network and dubbed the “payments platform of the future” Utrust aims to take the benefits of PayPal and weave them in to Blockchain technology to create the ultimate online payment gateway that will protect buyers with mediation and sellers. Utrust is a member of the Crypto Valley Association and is also supported by the Swiss government. The team behind Utrust come from a variety of backgrounds including finance, banking, UX and cyber security. The price of one Utrust token is just 6.5 cents through the crowdsale and is expected to be trading on EtherDelta very soon. Posted on 8th November 2017 3rd December 2017 Author Justyna PatrycjaCategories Blockchain, Ethereum, NewsTags HelloGold, Robin LeeLeave a comment on Interview with HelloGold CEO Robin Lee: Bringing Blockchain and Gold to millions of people across Asia. Interview with HelloGold CEO Robin Lee: Bringing Blockchain and Gold to millions of people across Asia. Hello Gold is a Shariah compliant gold investment app that allows anyone to buy and sell Gold hassle free. Its built on the Ethereum Blockchain with an aim to help the millions of low to medium income people from emerging countries save in Gold as apposed to their unstable local currency. We spoke with Robin Lee, the CEO of HelloGold(former CFO of the World Gold Council) to find out more since the successful token sale which raised 17,149 ETH. Can you briefly explain what HelloGold is? “The amount of money in a person’s wallet should not be a barrier to his ability to access financial products that the rich enjoy. HelloGold wants to remove affordability and accessibility from the equation through the democratisation and digitisation of financial saving and loan products using real assets starting with gold” Robin Lee CEO HelloGold. How do customers purchase Gold, do they have to buy HelloGold tokens? Or only in RM1? HelloGold app customers can log in and buy gold 24/7 once they have cleared the KYC process and topped up the app with cash using online banking. Prices track global market spot price and are updated every 5 minutes throughout the day. App customers can buy from as little as RM1. Customers buy, store and sell the gold which is physically vaulted down in Singapore. They can also gift the gold to another account holder, have the gold physically delivered or take a collateralised loan against the gold. Why is Blockchain technology needed for buying Gold? What benefits does it provide to the consumer? By publishing the smart contracts and incorporating a blockchain explorer (transaction navigator), it will be possible to review the full list of anonymised transactions and calculate the amount of gold that HelloGold is holding on behalf of customers. This, in turn, can be compared not only to the amount of gold published in the customer gold list (anonymised) but also against the records managed by our custodian. HelloGold has incorporated several security mechanisms to protect customer accounts. All connections are encrypted using HTTPS. Internal API calls between the core components are secured with additional secret keys and firewall rules that limit interactions between trusted systems. For external facing APIs, for example APIs used by our mobile application, the API calls are further secured with a combination of industry standard OAUTH and secure tokens for each mobile device. The addition of a distributed record adds a further level of security from internal and external attempts to alter account data without leaving an audit trail. The smart contracts are being developed with best practices in mind following constant review of public audit documents. This should ensure that customer accounts are true and accurate. Do you think HelloGold will change how we buy gold in the future? We are only at the start of our journey to impact the lives of the underserved and unbanked in emerging economies. Since our public launch in April, HelloGold has changed the way for over 4,000 customers when it comes to wealth preservation by providing a modern, convenient and cost efficient access to gold. Can you share any future plans or partnerships ? We outlined our expansion plans in the whitepaper that we wrote for the recent token sale, full details can be found there. In short, HelloGold plans to expand into new geographic markets, specifically Thailand, China, Indonesia and Philippines plus expand the product with new features/technology, asset classes (eg silver/platinum), partners which will enable us to serve new customer segments. We are also increasingly approached by potential partners in other regions like the Middle East, Eastern Europe and Central Asia as well as Africa to consider expansion into those markets. Who’s your target market for the app? The ultimate customers of HelloGold’s platform, are those are not well served by their existing financial institutions and the unbanked. Financial institutions already provide a variety of easy ways for the high net worth and mass affluent market segments to invest in assets like gold so that they can diversify risks at the portfolio level but they do not enable the less affluent customer the same access. HelloGold targets two key market segments: the consuming middle class and the emerging middle class. In ASEAN and China alone, these two groups comprise 55% of the total labour force of 814m people. They saved approx. $505b in 2016, of which we estimate that $212b was in cash deposits. Why are you running HelloGold on the Ethereum Blockchain over other similar technologies ? HelloGold is using Ethereum as it is currently the most widely accepted platform that offers all the benefits of a blockchain (full traceability, non-repudiability etc.) and multiple source language implementations that encourage integration. Ethereum will handle only the parts needing consensus, transparency and accountability. Other services will continue to be provided using existing technology. HelloGold needs a transactional blockchain with a powerful system of smart contracts which have the ability to ensure that a transaction can combine with the results of previous transactions to provide auditable consistent results. To date, Ethereum is the only stable system that has achieved widespread adoption. The decades of experience of our senior development team tell us to avoid anything experimental to run a live system. Will you be expanding into other metals such as Silver? Yes. We intend to create other real asset-backed tokens over the next 12 months. What are you looking forward to in the blockchain space in 2018? In HelloGold we are looking forward to moving our app backend onto the Ethereum network to provide our customers with greater security and transparency over their gold holding. HelloGold intends to add different real asset backed tokens and providing more support to entities which support the twin objectives of 1) increasing mass market use of blockchain technology and 2) democratising access for the underserved and unbanked to financial products through the digitisation of these products. BP and Royal Dutch Shell have today formed a consortium with various other energy companies to develop a blockchain-backed trading platform for commodities. Expected to launch by the end of 2018 the platform will significantly help cut costs in oil trading and streamline various aspects of the industry including the replacement of paper contracts. Swiss based commodity trading firm Mercuria also joined today has long been an advocate of paperless contracts. 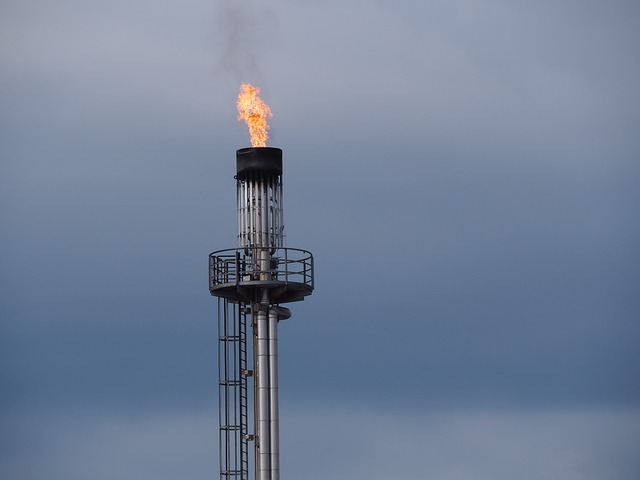 Other members of the consortium include ABN Amro, Norwegian oil firm Statoil, Koch Supply & Trading, trading house Gunvor, ING and Societe Generale. The new venture is seeking regulatory approvals and would be run as an independent entity, the consortium said in a statement. Other companies trying to revolutionise the energy sector with Blockchain technology are Grid+ which has so far raised 38,000 Ether and PowderLedger whose ICO has not ended raising $13 million dollars. With increased transparency and independence from central government blockchain technologies are slated to revolutionise the energy industry for both consumers and producers. In January, IBM and Samsung unveiled an early platform for controlling connected devices based on a blockchain concept called ADEPT. This platform uses software developed on the Ethereum blockchain that authenticates “smart contracts” that represent micro-transactions between appliances within a home to enable them to react autonomously and instantaneously to varying conditions. Posted on 6th November 2017 6th November 2017 Author CoinSpectatorCategories Blockchain, Ethereum, NewsTags LendoitLeave a comment on Renowned Blockchain experts join Lendoit advisory board. Renowned Blockchain experts join Lendoit advisory board. 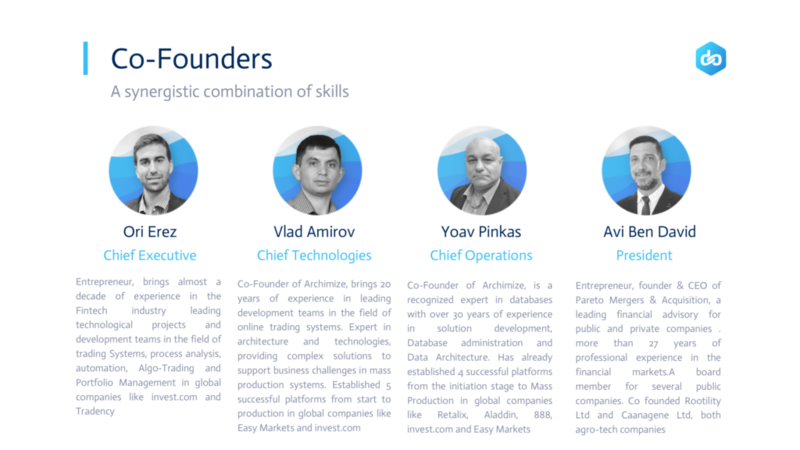 Israeli Blockchain firm Lendoit welcomes two new experts on to its advisory board. High profile advisors Eddy Travia & Richard Titus have joined the advisory board of Lendoit, an Israeli-based financial firm that is using blockchain technology to revolutionise the peer-to-peer lending industry. Travia, a key figure in the blockchain space since 2013, co-founder of SeedCoin and blockchain Space, and current CEO of investment firm Coinsilium brings a wealth of experience to the project. With an impressive portfolio that already includes RSK, Factom, CoinDash and SatoshiPay. Travia was also nominated among the top 3 ‘Most Influential Investors of the Year’ at Blockchain Awards 2014 and has been a major influence in the space ever since. 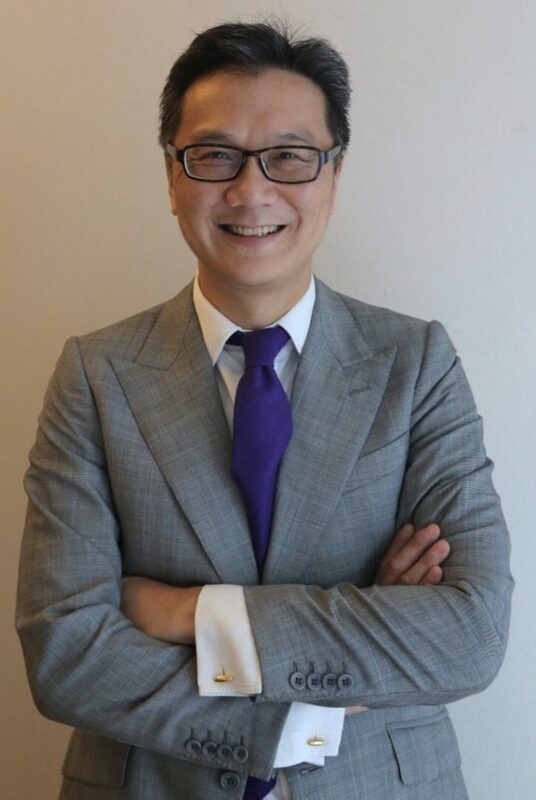 Titus is currently the managing partner at ARK ICO Advisors, a Singapore based firm advising ICO projects all over the world including AdEx, Pillar & Hive. he brings over 20 years of technology, scaling and development experience to the project. Having nurtured over 15 successful initial coin offerings the two new additions to the Lendoit advisory board will help pave the the firm’s success in the lucrative P2P industry. Utilizing the Ethereum blockchain, Lendoit is a decentralised peer-to-peer lending platform that brings lenders and borrowers together globally using Smart Contracts on the blockchain to ensure transparency, trust, reduced risk and circumvent intermediaries. 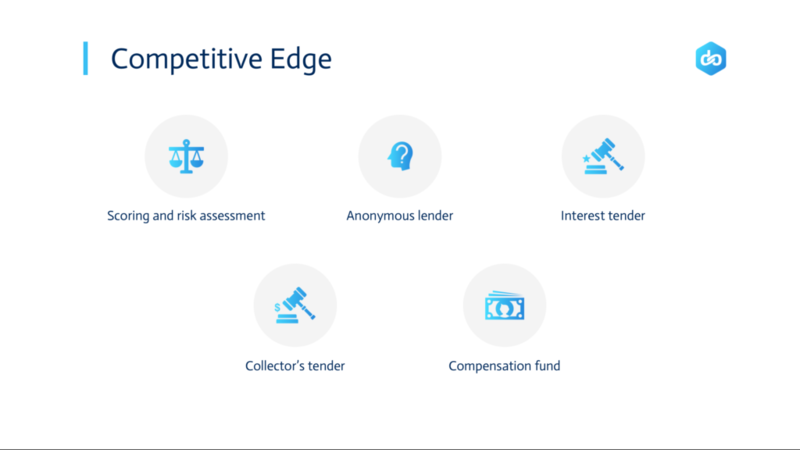 Borrowers are able to download the Lendoit app and request a loan which is then auctioned to verified lenders on the platform, this provides borrowers with the ability to browse bids and accept the best loan rates to suit their circumstances. Despite it not launching until next year Lendoit has already created strong ties with governments and corporations one of Israel’s biggest investment firms Migdal Investment Banking. Established in 1965 and part of Migdal Capital Markets Group, it currently manages assets valued at $9 billion for thousands of clients in the Israeli private, business and public sectors. 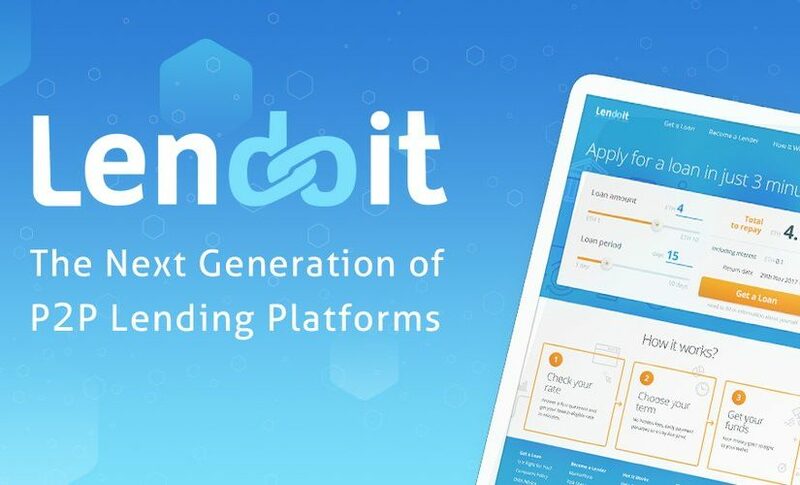 Compared to other P2P lending platforms on the market such as ETHlend and Salt, Lendoit offers a competitive advantage in various areas such as decentralised intermediate, interest auctions, and compensation funds. Lendoit so far have also partnered with YETAX, Smartech, WHISP R&D, The Hive Project and Wings. Dylan Sharkey, former head of sales at Linkedin has left the networking platform to join Blockchain startup IUNGO Network as a senior advisor. With his support the startup aims to not only disrupt the global ISP market but also unify it with the latest technology. IUNGO is working on an open source blockchain solution that enables anyone to consume and contribute to a network of global wifi networks. For end users this means simple, reliable and fast internet access anywhere and for locals it opens up new avenues to monetize their excess internet bandwidth. Impressed by the startups growing portfolio of successfully executed ventures and strong management Team Dylan felt he could bring a lot to the project’s scaling and execution goals. 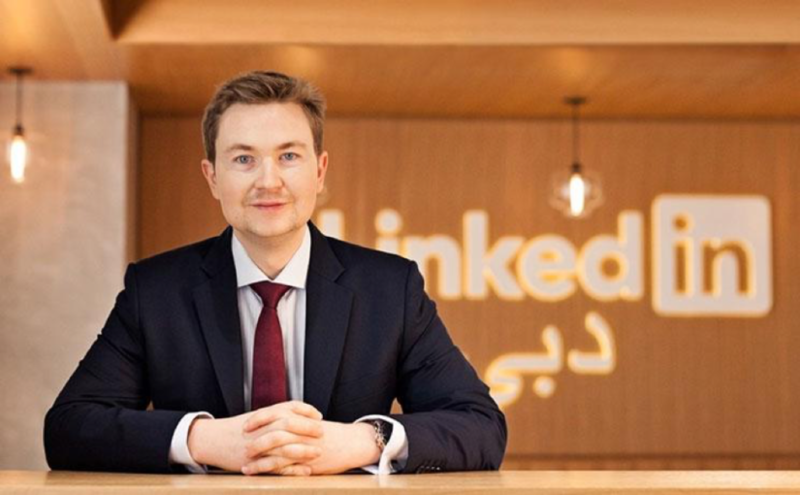 Through his experience in managing a team of over 100 employees at LinkedIn, before the company’s IPO back in 2011 he is hailed as one of the key players in taking the firm’s startup growth and turning it into the powerhouse it is today. On the one hand IUNGO hopes to tap into the growing number of nomads, travelers, vloggers, freelance workers who have significant problems accessing WIFI outside of their home while on the go whilst on the other opening on the ability for local residents to rent any excess bandwidth they have to earn some extra money. “Dylan joins with invaluable experience of contributing to the stellar growth of LinkedIn when it was still a fast growing startup before the successful IPO in 2011”, said IUNGO Network CEO Ričardas Bernotavičius. In doing so IUNGO is aiming to become a global ISP provider that is quite literally powered by its community of users. IUNGO is a community based distributed wireless internet service provider. Through their blockchain technology software and hardware they would like to bootstrap communities where people take on responsibilities and benefit from various rewards. Members can also contribute to the network by installing public wi-fi access points in their premises. The company aims to use existing local internet infrastructure to provide the bandwidth and overlay its own access layer to enable unified end-user identification, authentication and billing systems making it possible for users to rent bandwidth and hire it seamlessly on the Ethereum network. IUNGO is a globally distributed wireless internet service provider built with the help of a worldwide community. They are Bootstrapping a community where everyone can assume responsibilities and benefit from the associated rewards for running parts of the service delivery infrastructure. Members can contribute by installing Public Wi-Fi access points on their premises and/or running parts of the service infrastructure. Posted on 29th August 2017 2nd October 2017 Author CoinSpectatorCategories Blockchain, Ethereum, NewsTags Bitcoin, Ethereum, UberLeave a comment on Could Uber be the first big company to accept Ethereum? 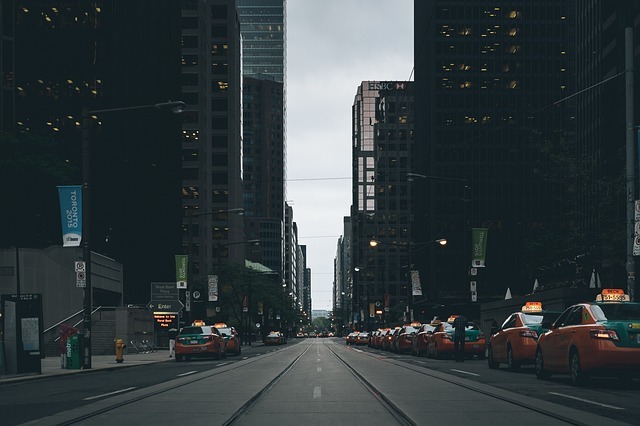 After a laborious nine-week search Uber’s management board has voted to appoint crypto-friendly Dara Khosrowshahi as their new chief executive – a potential win for Bitcoin Ethereum. Under Dara’s 12 year run, Expedia was one of the first major organisations to accept Bitcoin as a form of payment (back in 2014) and subsequently legitimising it. So much so that both Microsoft and Dell followed suit shortly after. Dara is also a personal investor in Bitcoin startup 21 inc and has been an influential promoter of blockchain technology and its uses in real world projects. With Bitcoin dominating the early days it made sense for Expedia to start accepting the cryptocurrency, however three years down the line it would seem Ethereum would be a better all round solution. 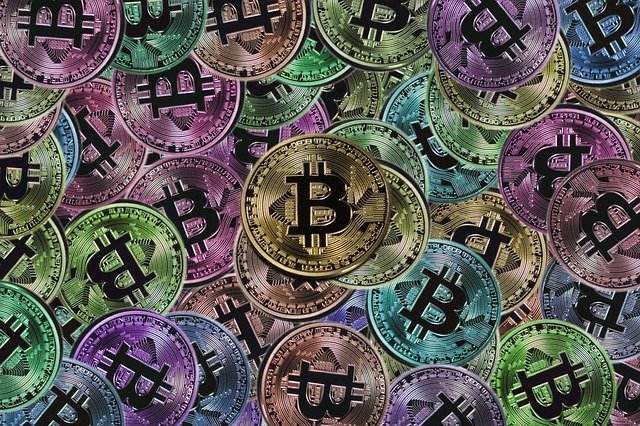 Bitcoin has also encountered a number of issues of late, many of which have stemmed from its slow confirmation times and increased transaction fee’s. With neither of these issues being appropriately addressed it is impossible to use this currency in any time critical use cases. Ethereum however with its lightening fast conformations (which are soon to get even faster) and low transaction fees would be a well equipped contender. It only takes around 15 seconds for a transaction to be confirmed on the Ethereum network making it easy to pay as you pop out of the cab, as opposed to Bitcoin which would require you to… well we’re not quite sure how that would work. Rumours around Uber accepting cryptocurrencies have long circulated but until now they been nothing more than internet chatter, with Dara’s appointment however it may well become a reality. These are exciting times for the cryptosphere. Will you be paying for your next uber with Ether? Atlanta-based Storj Labs announced today it has partnered with popular open source FTP client FileZilla to bring drag and drop file uploading to the masses. FileZilla is one of the most popular FTP clients rocking around 100 million downloads per year, lightyears away from its high school project foundations. Over the last couple of months Storj’s future looked far from bright with a prominent member of the team leaving the company, but in a recent blog post the firm made changes to the executive team which settled investors. 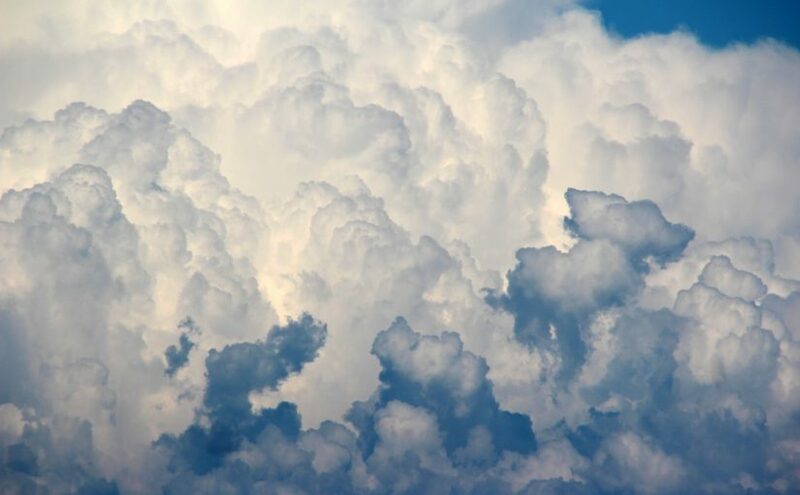 Amidst the internal storm, the firm have quietly been developing a highly requested feature to bring drag and drop uploads to users, the partnership with FileZilla opens the distributed cloud storage that to an additional 15 million monthly users. The feature is currently still in BETA testing but interested users can join the Storj community chat https://community.storj.io/ for access to the group. Fancy a long invigorating soak? Handmade ethical cosmetics retailer Lush has recently started accepting Bitcoin as a method of payment for online shoppers. The retailer operates around 1,000 physical stores across 49 countries worldwide and has suggested its online adoption will likely influence its in store Bitcoin rollout. Lush said in a statement that Bitcoin was introduced as part of their “wider strategy to delve into the Blockchain community and provide an ethical viewpoint on its possibilities”. The firm claims that it would allow them to create more ways of working with a wider range of suppliers, some of whom are from developing countries. Providing an alternative method in these regions will open up new new markets and make transactions more transparent with little to no exchange rates or fees. The Bitpay ecommerce solution has been utilised and will allow the platform to handle customers who wish to pay with Bitcoin. Lush is headquartered in Poole, Dorset, United Kingdom. The company was founded by Mark Constantine, a trichologist and Liz Weir. 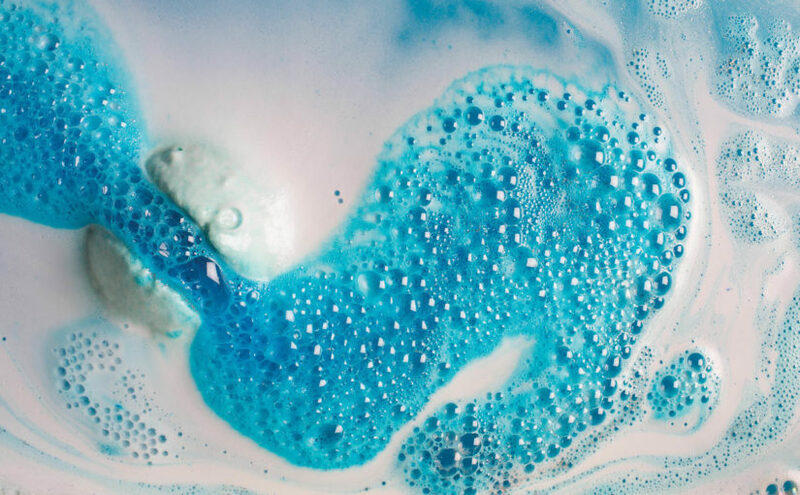 Lush is expected to make $1 billion in global sales by 2017.